"Most of the staff were helpful." 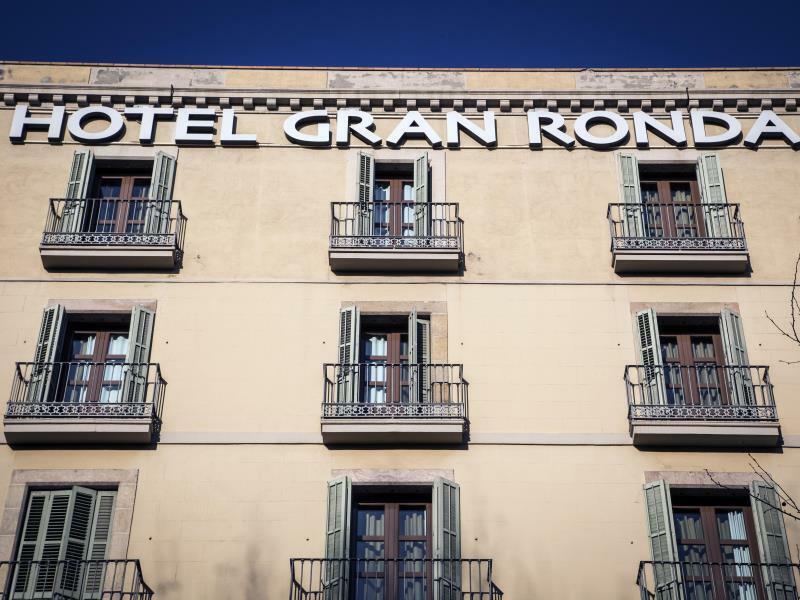 Have a question for BCN Urban Hotels Gran Ronda? "Good value for money and good location." "Great location - walking distance from mayor locations such as Las Ramblas and Plaza Catalunya and well conected by buses"
"Very close to everything, staff helpful and nice." 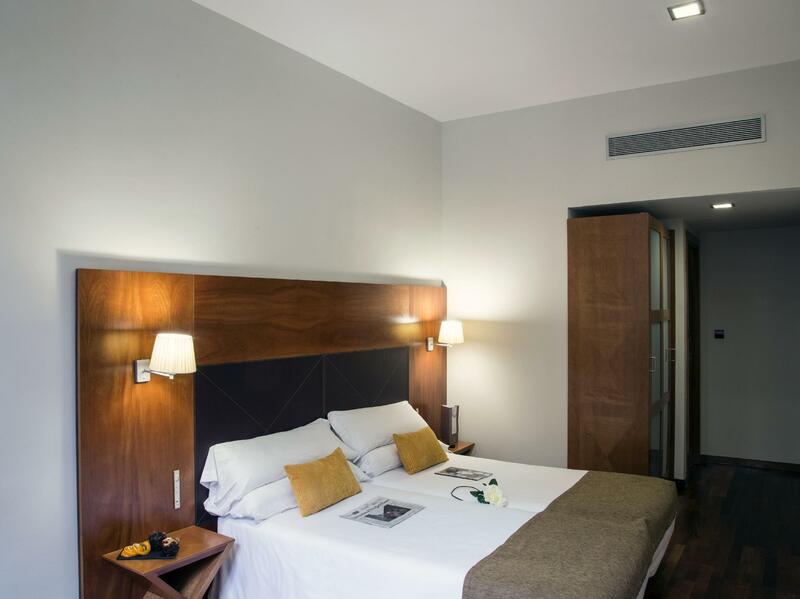 BCN Urban Hotels Gran Ronda is a conveniently located hotel in the center of the city, offering easy access to many of Barcelona's tourist attractions. The 3-star BCN Urban Hotels Gran Ronda is an affordable option for both business or leisure visitors to the Catalonian capital. Rooms and suites are well-appointed and furnished in a contemporary style with timber floors, plasma televisions, and wireless internet access. For those in the city on business, the hotel's business center offers all the amenities required by today's corporate traveler, including secretarial assistance and a modern, fully supported meeting room. Leisure-wise, a short walk in any direction from the hotel brings visitors to a number of attractions, whether it's a museum or art gallery or the unique architecture of the Gothic Quarter. Hotel location is amazing you can walk to almost all sightseeing also it is easy to go from/to airport the bus stop is in 10 mins walk from the hotel. Keep in mind economy rooms do not have windows to outside only to atrium, so there is lack of fresh air in the room. The hotel’s location is great. There are 2 Metro stops, bus lines, restaurants, stores and some nearby sites. It’s kept clean and runs efficiently. Most of the staff were helpful. I got some wrong information once from someone who seemed bothered by my questions. And the breakfast is priced ridiculously high. Skip the breakfast and book a room. good: 1. great location - walking distance from mayor locations such as Las Ramblas and Plaza Catalunya and well conected by buses 2. despite being on a mayor street little noise heard 3. great room - modern, big, not so great 1. Very basic facilities, but knew this coming in and not the reason you choose 2. great value for money 3. thin walls and could sometimes feel metro underneath - be wary if light sleeper would definitely come back! I've stayed here several times. It's a comfortable, modern hotel that represents good value for money in what I think is an unbeatable location - convenient for the Autobus from/to the airport, a short walk to many of the central sites and with a metro station right outside, it's easy to get to attractions further away. I liked this hotel. You can have everything you need in a hotel. Not a luxury one, but simple, clean and functional. The location is great. near to metro station, and La Rambla st. To me the only bad point was that it is not very well sound-proofed. You have hear the noises of the hotel (not from street). I recommend this hotel. Needed a twin room under $200 on a last minute whim to meet my son in Barcelona. Hotels and apartments were scarce because of the Sonar music festival and general summer tourism. Found this 3 star hotel on TA and had to choose it out of desperation. Turned out fine and a decent location near Catalunya Square, so less than 5 min walk to the metro and 10 mins to La Rambla. Room was average, clean and had coffee. Hotel had discounted parking in nearby public lot. Easy to pull up front for unloading suitcases. Hotel has lockers for 2 euro to leave your suitcases after you check out if you need to finish sightseeing, change hotels, etc. Best of all, staff was super nice and helpful. The room were big and comfortable, with many services provided, such as toothbrush, coffee/tea, Dove soap, razor, safe, refrigerator and many more. We got a room with twin beds and a balcony (as requested). Location is near to almost everything! Some of the staff during daytime could smile more and be more helpful, but in the evening and night the staff where outstanding. All in all good value, I would recommend! what a fantastic stay! got recommended this hotel by 2 friends and it did not disappoint. firstly the location was fantastic, in the city but in a quiet street and safe area. the rooms were huge! very clean and the service was great, free wifi and cleaning service every day. breakfast was great also, highly recommend it. the only downfall was we asked for a double and it was 2 single beds pushed together. but if you dont mind that, it is a fantastic hotel and great value for money. Their wifi service is reliable which I can access high quality wifi in the room. The service at reception is really nice and good. They have warm reminder on the pickpockets and also very helpful. We have a mail which is addressed to the hotel and we see the mail waiting for us at the hotel room while we are beck from the sightseeing which is excellent. The receptionist has give us advise on how to go to different locations and market. Nice and warm stay in the hotel and we feel like home everytime when we are back to the hotel. hotel was great, the staff were very friendly and most helpful. the rooms were always cleaned well. the location was excellent. Got discounted stay. Good walking distance to everything or metro. The air conditioner was not working in the room assigned to us so we have to have an upgrade for 30 euros a night in order to be comfortable. The staff said that it is 65 rooms and it is hot so the air conditioner has to distribute air to all the rooms. I stayed in room 101 and every few minutes, the trains arriving and leaving from the nearby metro shakes the rooms and fills it with rumbling noise for 15 secs. They charge you for left luggage (2euros) if you need storage after you have checked out. The stay was fine with clean rooms and bathroom works well too. The only comment is aircon not quite strong so not so good if you visiting in really hot weather months. For staff, depending time of day, some staff are friendly (eg. Alejandro), but some can be very moody (esp those in the night shift, tired probably doing as a second job). The location is good. The room is clean and tidy. The staff is friendly. Very clean, very small, but nice. Towels need to be thicker and more in a room. Very close to everything, staff helpful and nice. Good value for money and good location. Hotel staff very helpful and friendly! Soundproofing is weak when you can hear other guests next room talking late at night. Overall, I'd recommend it!